I had a great time at Accessing Higher Ground. The weather was beautiful, despite the snow on the ground. 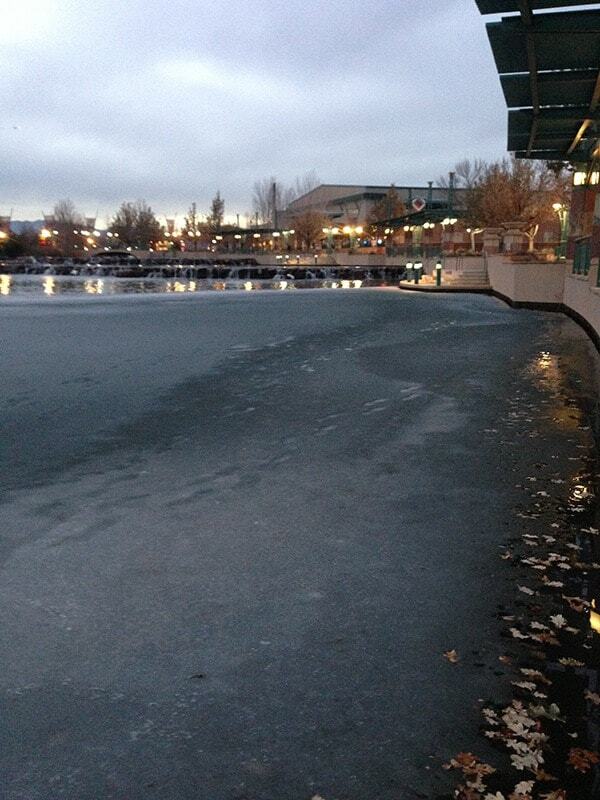 In fact, the lake near the Westin in Westminster was frozen around the edges (and people had been walking on it! ), but still liquid in the middle! I ran three presentations and one lab for Accessing Higher Ground. You can access all the slides by downloading them from Dropbox or from Prezentt. I ran the Mobile and accessibility presentation as one of the very first presentations on the Wednesday of Accessing Higher Ground. You can download the accessible PowerPoint slides on Mobile and accessibility from Dropbox (28.4 MB). Alternatively you can view the Mobile and accessibility slides and access the links from Prezentt. I ran the PDFs and accessibility presentation on the last day of Accessing Higher Ground. You can download the accessible PowerPoint slides on PDFs and accessibility from Dropbox (16.6 MB). Alternatively you can view the PDFs and accessibility slides and access the links from Prezentt. I ran the Videos and accessibility presentation as one of the very last presentations on the Friday of Accessing Higher Ground. You can download the accessible PowerPoint slides on Videos and accessibility from Dropbox (17.6 MB). Alternatively you can view the Videos and accessibility slides and access the links from Prezentt. I ran the Semantic markup for WCAG2 on Wednesday afternoon. The session ran for two hours, and at least one of those hours was entirely devoted to ALT attributes! You can download the accessible PowerPoint slides on Semantic Markup for WCAG2 from Dropbox (11.8 MB). Alternatively you can view the Semantic Markup for WCAG2 and access the links from Prezentt. I thoroughly enjoyed and appreciated your presentations and the information shared at the conference – THANK YOU!